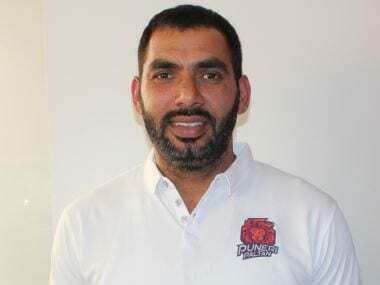 Ranchi: A superb all-round performance by Puneri Paltan saw them register a comfortable 37-25 victory over Haryana Steelers in the fifth Pro Kabaddi League on Tuesday. 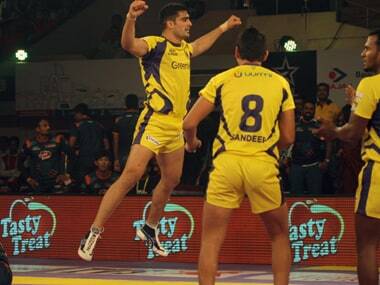 The Puneri Paltan raiders chipped in with 15 points whereas the defence contributed 17 points. For Haryana, Surjeet Singh was the sole performer as he ended up with 9 raid points. Both teams were neck and neck after five minutes with the score level at 4-4. Rajesh Mondal made a successful raid in the 9th minute to give Puneri Paltan 7-4 lead. Haryana Steelers fought back to make it 7-7 in the 10th minute.